As someone who has traveled to more than 70 countries and written about it, Forbes has named Kiersten Rich one of the top travel influencers around. Her award-winning blog is a repository of most of her writing about her travels and is a guide for solo female travelers who want to see the world. Also a social media and marketing consultant, Rich provides promotional solutions for tourism boards, travel companies, and travel-related brands. Rich is a former travel writer for Tripsavvy. She was a regular contributor for two years and is an expert on solo travel. 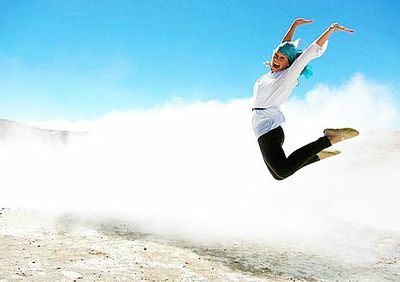 She provides tips on traveling alone, ways to find discounts as a solo traveler, and shows you how to meet compatible travel buddies while abroad. Rich runs the website The Blonde Abroad, an award-winning travel and lifestyle blog featuring travel tips, fashion, food, festivals, and photography from around the world. Due to the popularity of her online blog as well as her intrepid travels, she has been featured in the New York Times, Travel + Leisure, Marie Claire, Forbes, Elite Daily, Business Insider, the Huffington Post, Afar, Teen Vogue, Yahoo! Travel, Mind Body Green, Tripadvisor, Quebec Original, Refinery 29, Retail Me Not, and Cosmopolitan. Her accolades include "Top Travel Influencer of 2017" by Forbes and "Top Instagrammer of the Month" by Travel + Leisure, as well as "Travel Blog of the Year" at the 2016 Cinnamon Travel Blogger Award and Conference in Asia. Rich earned a bachelor's degree in business specializing in financial planning from San Diego State University.